Miles T. Rogish Jr., of Raccoon Township, went to be with his Savior, Jesus Christ, on July 9, 2012. Miles is survived by the love of his life, Rosalie (Collins) Rogish; his children, Linda (Don) Nisly of New Port Richey, FL, Dorothy (Gary) Rich of Glendale, AZ, Diane (Terry) Moore of Hookstown, Miles T. Rogish III of York, England, and Mark (Andrea) Rogish of Raccoon Township. Also surviving are 13 grandchildren and five great-grandchildren. He was preceded in death by a daughter, Katherine Tellish. Born in Aliquippa on July 20, 1926, he was the son of the late Miles Sr. and Catherine (Raybac) Rogish. He was also preceded in death by a brother, John, and sisters, Martha and Mildred. He is survived by brothers, Boyd and Paul, and sisters, Helen, Beatrice, Johanna and Pauline. During World War II, Miles proudly served in the U.S. Army Air Corps in the Philippines. After the war he settled in Raccoon Township, where he started his own business doing what he loved, drilling water wells. Miles was well known and well liked, and seemed to always have a constant stream of friends and visitors who just enjoyed being around him. He was interested in everything and always had a new story or joke or subject to talk about. Above all, Miles intensely loved his family and his family adored him. He will be greatly missed. 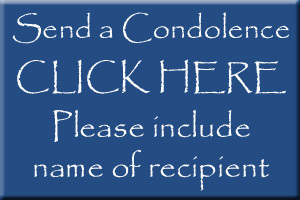 Friends are welcome to call Wednesday from 2 to 4 and 6 to 8 p.m. at the MCCONNELL FUNERAL HOME, 447 Pine St., Hookstown, PA 15050, Daniel M. McConnell, Owner-Director. Services and interment will be private. Memorials if desired, may be made to Good Samaritan Hospice, Wexford, PA.